The American Institute of Aeronautics and Astronautics (AIAA) recently awarded Frank van Grass, Russ Professor of Electrical Engineering at Ohio University, with the 2011 Dr. John C. Ruth Digital Avionics Award recipient. Van Graas was honored at the 30th annual Digital Avionics Systems Conference in Seattle, WA for outstanding lifetime achievement in GPS navigation. The professor at the Fritz J. and Dolores H. Russ College of Engineering and Technology is best known for his work on the Federal Aviation Administration’s Local Area Augmentation System for GPS approach and landing systems. His team at the NASA Langley Research Center in Hampton Roads, VA, was the first to prove that a differential GPS system could be used for aircraft autoland applications. He also led the team that developed the Integrated Multipath Limiting Antenna, which allowed GPS signals to be received with little distortion. Van Graas’ system is now installed at the FAA’s William J. Hughes Technical Center in Atlantic City, N.J.
AIAA’s Dr. John C. Ruth Digital Avionics Award honors outstanding achievement in both technical management and implementation of digital avionics in space or aeronautical systems, including systems analysis, design, development or application. AIAA is the world’s largest technical society dedicated to the global aerospace profession, with more than 35,000 individual members worldwide and 90 corporate members. With safe and sustainable construction near the top of the national and global construction agenda, the International Code Council and the American Society of Heating, Refrigerating and Air-Conditioning Engineers (ASHRAE) have collaborated to create a publication with the most innovative energy-efficiency requirements for residential and commercial buildings. This new publication contains both the 2012 International Energy Conservation Code (IECC) and ANSI/ASHRAE/IES Standard 90.1-2010 Energy Standard for Buildings Except Low-Rise Residential Buildings in one volume to help ensure newly built and renovated buildings are in compliance with the latest codes and standards. The 2012 IECC will be at least 15 percent more energy efficient than the 2009 edition, according to U.S. Department of Energy estimates. The code contains improved requirements for windows, doors, skylights and HVAC systems. The ASHRAE/IES 90.1-2010 has been expanded to include a broader scope, more detailed requirements and changes from more than 100 addenda improving all four of the major building components: envelopes, mechanical systems, lighting systems and service water heating. The significant changes in the two documents remain consistent with the American Recovery and Re-investment Act as required in federal laws. “This new compilation will go far in helping the building industry reduce energy use and help to meet our nation’s energy goals,” ASHRAE President Ron Jarnagin said. “With publication of Standard 90.1-2010, ASHRAE and its partner Illuminating Engineering Society met an aggressive goal of 30 percent savings over the 2004 standard, reached in part thanks to significant public input from those in the building industry who helped us to increase the stringency of our flagship energy conservation standard." The International Code Council is a member-focused association dedicated to helping the building safety community and construction industry provide safe and sustainable construction through the development of codes and standards used in the design, build and compliance process. ASHRAE, founded in 1894, is an international organization of some 52,000 persons. ASHRAE fulfills its mission of advancing heating, ventilation, air conditioning and refrigeration to serve humanity and promote a sustainable world through research, standards writing, publishing and continuing education. ASHRAE and the Illuminating Engineering Society of North America jointly developed Standard 90.1. Jacobs Associates welcomes William Gates, PhD, PE, PG, as a senior asssociate in its Seattle office. 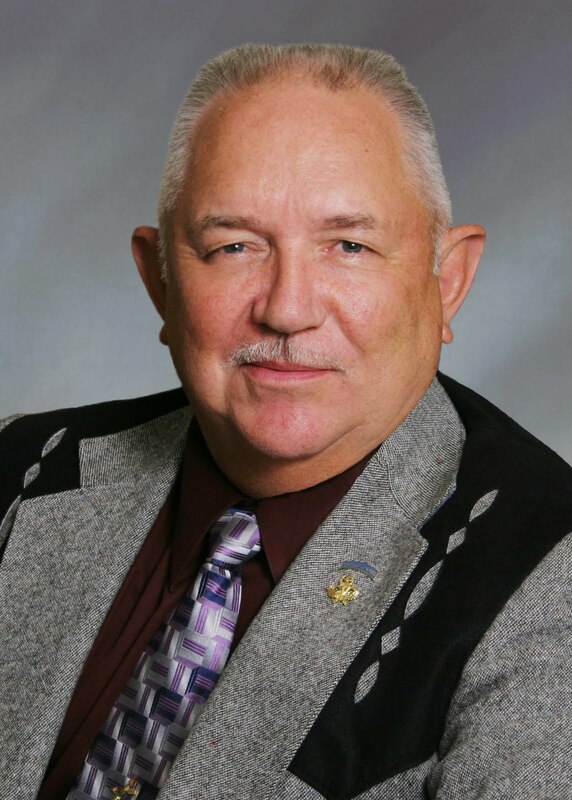 Dr. Gates is a retired U.S. Army Special Forces (Green Beret) officer and specializes in geotechnical and rock engineering, blasting, and hydrogeology. He has 44 years of experience dealing with engineering geology and geotechnical problems worldwide. His solutions have covered a wide range of interrelated geological and geotechnical disciplines attendant to rock mechanics, rock slope engineering, construction blasting, hydrogeology, fluvial geomorphology, soils engineering, instrumentation, and site characterization. Dr. Gates is nationally recognized for his rock slope and blasting expertise and is often receives invitations from the Association of Environmental & Engineering Geologists to conduct one- and two-day short courses on rock slope engineering design and blasting. Dr. Gates’ additional specialties include photogeologic terrain and fracture trace analysis, fracture flow, and fracture mechanics. He developed and published the Hydro-potential Value (HP-value) technique, a method to semiquantitatively evaluate rock fracture characteristics and predict well yield, specific capacities, seepage, and no-flow conditions. Dr. Gates is currently the lead rock engineer on Seattle City Light’s (SCL) Boundary Dam Rockfall Mitigation in Metaline, WA, where he conducted a detailed geologic investigation of the engineering characteristics and rockfall problems of the rock mass that houses the turbines and transformer bays. Jacobs Associates provides solutions for underground projects in the water, wastewater, and transportation sectors. With an emphasis on tunnels and shafts, the firm offers a full range of design and construction management capabilities. They also offer the broader heavy civil construction industry a package of claims and dispute resolution services. Jacobs Associates has offices in San Francisco, Seattle, Portland, Pasadena, San Diego, Boston, New York, Auckland, and Melbourne. For more information, visit www.jacobssf.com. According to the latest America THINKS survey from HNTB Corporation, people are fed up with congested, crumbling roads and are looking for decisions from local and regional officials about how to prioritize fixing them. Many Americans are bothered by the condition of their highways, with slightly more than one in two (54 percent) having a problem with the poor road conditions and half (50 percent) saying these byways are too jammed. "We can no longer ignore the growing liability our aging roads present to U.S. economic competitiveness and the mobility of our citizens," says Pete Rahn, leader of HNTB's national transportation practice. "Americans are feeling the pain every day as they commute and cross the nation's highways and bridges." Congestion can be caused by several factors, such as a lack of alternative modes of transportation and continued population growth in today's "mega regions." In fact, 46 percent of Americans think there is excessive traffic in urban areas. Aging, inefficient highway lanes – whether there aren't enough of them or they are clogged with "slow moving" semi-trucks – also are seen as a cause of congestion. More than one-third (38 percent) of Americans are distressed by having to share lanes with large trucks and 25 percent think there aren't enough lanes. Perhaps fewer Americans would feel frustrated about the country's highways if trucks had space of their own. One-quarter (25 percent) think creating dedicated lanes required for large trucks would make the biggest difference in reducing traffic or bettering efficiency of freight delivery. In 2007, the U.S. Department of Transportation announced a groundbreaking plan to highlight the need to reconstruct and expand six critical interstates, which carry 22.7 percent of the nation's daily interstate travel and are crucial to the efficient flow of freight traffic. These interstate highways – Interstates 5, 10, 15, 69, 70 and 95 – were designated "Corridors of the Future." According to the latest HNTB research, nearly 7 in 10 (69 percent) Americans would be likely to support funding long-term improvements of these particular interstate highways. "Given the support these interstates generate among many Americans, focusing on them could be a key to providing voters a new vision for addressing America's future mobility needs. They truly are corridors for the future," says Rahn. "However, investing in these unique routes will require a special combination of funding mechanisms, including lifting the current federal restriction on tolling these existing interstate corridors." Previous America THINKS research has shown many Americans prefer tolling over increased gas taxes. This latest HNTB survey shows many Americans (66 percent) also would like their toll money to go toward solving the wear-and-tear and congestion issues that cause so many to have problems with our highways. Forty-one percent of these people would be willing to chip in for repairing or rebuilding worn-out roads and bridges. Others would prefer their tolls went to developing dedicated truck lanes (30 percent) or adding lanes to existing roads (24 percent). In fact, more than half (54 percent) of Americans would prefer taxes and highway toll money went to long-term interstate highway upgrades, such as creating truck-only lanes or high-occupancy lanes than short-term highway maintenance projects. According to Rahn, tolls likely will be an expanding source for future interstate highway funding. "A variety of different funding strategies, such as tolling, will be needed as inflation, aging infrastructure, increased construction costs, alternative fuels and improved fuel economy vehicles continue to eat away at the purchasing power of the federal gas tax," he says. While most Americans don't have a problem with the tolls on highways, they do have a range of what they would like to pay. More than 4 in 5 (82 percent) Americans think the average toll rate for every 10 miles on an interstate highway should be a dollar or less. In addition, 56 percent think the average toll rate for every 10 miles should be 50 cents or less. More than seven in ten (72 percent) Americans feel that interstate highway funding decisions should be made at the local or state level, while far fewer (27 percent) think this should be a federal responsibility. Transportation departments – including state departments of transportation (28 percent), local and regional transportation authorities (28 percent) and the U.S. Department of Transportation (24 percent) – top the list of who many Americans think should be the primary decision makers for addressing the needs of interstate highways. Far fewer think this responsibility should be left to local (8 percent), state (7 percent) and federal (3 percent) elected officials. Similarly, nearly half (41 percent) of Americans think the state departments of transportation – not federal or other state entities – should handle approving the addition of tolls on specific highways, bridges or tunnels. "It's clear Americans want to take the politics out of transportation prioritization and funding," says Rahn. "It's time for our elected officials to do the same so our critical interstate highway system remains a valuable, viable asset." HNTB Corporation is an employee-owned infrastructure firm serving federal, state, municipal, military and private clients. Professionals nationwide provide planning, design, program management, and construction management services. For more information, visit www.hntb.com. More Americans in the Northeast, Midwest and West than in the South think highways are in poor condition (60 percent versus 45 percent). And slightly more than half (53 percent) of Northeasterners, Southerners and Westerners think highways are too congested, compared to 37 percent of those in the Midwest. More than half (53 percent) of those in the Northeast and West have an issue with overcrowding on highways in urban areas, versus 42 percent of those in Midwest and South. More women than men (47 percent versus 29 percent) have an issue with sharing highway lanes with big trucks, while men are more likely than women (29 percent versus 22 percent) to have a problem with the lack of lanes on highways. More men than women (59 percent versus 50 percent) would rather tax and toll money went to interstate highway improvements that would last a long time. Those in the Northeast and West are more likely than those in the Midwest and South (50 percent versus 36 percent) to most support tolls for improving interstate highways that are crucial to commerce and congestion relief. More women than men (78 percent versus 64 percent) think these decisions should be made at the local or state level. Slightly more than one-third (34 percent) of Northeasterners think the federal government should handle these decisions, versus 25 percent of those in other regions. Americans living in the South and West regions are more likely than those in the Northeast and Midwest (45 percent versus 36 percent) to believe the State Departments of Transportation should approve additional tolls. Americans ages 45+ are more likely than those 18-44 (89 percent versus 74 percent) to think tolls for each 10 miles of interstate should not be more than one dollar. Eighty-four percent of those in the Midwest, South and West regions don't think tolls for each 10 miles on an interstate should be more than a dollar, compared to 75 percent of those in the Northeast. The U.S. Department of Agriculture has awarded a four-year, $3.2 million grant to the University of Texas at El Paso to oversee a multi-university effort to produce more scientists and engineers who can develop new alternative energy sources and ways to increase energy efficiency. Heidi Taboada, Ph.D., assistant professor of industrial, manufacturing and systems engineering, is the principal investigator of the BuildinG a Regional Energy and Educational Network (BGREEN) project. The program will help place student interns and train graduate students at sites in Texas, Arkansas, New Mexico and Oklahoma, as well as Panama City, Panama. Taboada will work alongside her UTEP colleagues: co-principal investigator Jose Espiritu, Ph.D., assistant professor of industrial, manufacturing and systems engineering; William Hargrove, Ph.D., director of the Center for Environmental Resource Management; Salvador Hernandez, Ph.D., and Shane Walker, Ph.D., assistant professors of civil engineering; and Juan Noveron, Ph.D., associate professor of chemistry. Harris Miller Miller & Hanson Inc. (HMMH) has announced the promotion of Jason Ross, P.E., to the position of director of transit noise and vibration. In his new role, Ross is responsible for leading the firm's transit noise and vibration services practice group, managing and supporting projects, business development activities, and resource allocation. Ross has previously held the positions of principal engineer and senior consultant at HMMH. Ross’ project experience includes environmental assessments and impact statements, compliance testing, development of noise and vibration data measurement systems, analyses of vibration-sensitive equipment, public meetings participation, course instruction, and expert testimony. Ross currently manages the update of the Federal Railroad Administration’s (FRA) Noise and Vibration Impact Assessment Guidance Manual and preliminary engineering of noise and vibration mitigation for the MBTA Green Line Extension Project. Ross has a Bachelor’s degree in mechanical engineering, a Master’s degree in acoustics and is a registered Professional Engineer in Massachusetts and Texas. Ross also serves on HMMH’s board of directors. Dagher Engineering designed a 770 square-foot photovoltaic arrayshade system and battery enclosure as the lead electrical and plumbing design consultant for the North Park Schmul entrance. Dagher Engineering is providing sustainable strategies and design as the lead MEP consultant for the Durst Organziation's latest cutting-edge venture with BIG. Dagher Engineering is helping transform the area from a desolate industrial neighborhood to a vibrant, pedestrian-friendly mixed-use district as the lead MEP consultant for the green center of the new Hudson Yards, the Hudson Park & Boulevard. Dagher Engineering provided the MEP design for the Visual Arts Plaza and the streetscape of this new cultural district around the Brooklyn Academy of Music. Dagher Engineering is the lead MEP consultant for a visionary scheme for 87 acres of public space on Governors Island that is expected to generate a small scale construction boom. WSP SELLS announces the acquisition of WAZ Engineering, PC by the firm. WAZ Engineering provides consulting and engineering design to public and private clients throughout the Southeast and specializes in hydraulic engineering ranging from flood studies, stormwater management, and drainage design to stream and wetland restoration. WAZ Engineering Principal Amy Wazenegger, PE, CFM will lead the WSP SELLS Water Resources Group from the Cary, NC office. Wazenegger formed WAZ Engineering in 2005 to provide hydraulic engineering services while encouraging a healthy work life for employees with an emphasis on long-term environmental sustainability. Prior to starting her own company, she worked for an international engineering firm and the NCDOT Hydraulics Unit and has more than 13 years of experience in the water resources field. She has participated in the hydrologic study and design for a variety of roadway and highway improvement projects. In addition to her work with hydraulics projects, Wazenegger has participated in the study, analysis, design, construction, and monitoring of stream restoration and mitigation projects for a variety of clients and has an in-depth knowledge and understanding of federal, state, and local environmental regulations. She holds a Bachelor of Science degree in Environmental Engineering from North Carolina State University, is a licensed Professional Engineer in the states of North Carolina, South Carolina and Georgia, and is a Certified Floodplain Manager. Headquartered in Westchester County, NY, WSP SELLS has provided bridge design/inspection, transportation engineering, development infrastructure, water resources, land surveying/GPS, photogrammetric mapping, and GIS services to public and private sector clients since 1925. With a 230-person staff, WSP SELLS is part of WSP Group, a 9,000-person global design, engineering, and management consultancy. KSA Engineers has introduced Environmental Services, which offers an extensive set of environmental-related services and solutions. Traditional environmental projects that KSA has completed include environmental site assessments, site cleanups, air permitting, and waste management/disposal. This new list of services will allow the firm to work with clients through environmental permitting and compliance for additional types of capital improvement projects. The new portfolio includes a range of services beyond permitting, which include developing biological assessments of habitats to avoid impacting endangered species, delineation of wetlands, wetland permitting support, and conducting overall field assessments and documentation required for a project's National Environmental Policy Act review. "We are extremely excited about the opportunity to diversify our services and provide our clients with more options for their environmental work," says Lanny Buck, project manager at KSA. "We look forward to expanding our range of services in the environmental area." The introduction of Environmental Services marks another step in KSA's strategy of strengthening its position as a provider of professional services to municipalities, airports, industry, and the oil and gas industry. KSA Engineers provides a broad range of consulting, management, engineering, planning, surveying, and construction services. Founded in 1978, the firm has grown to over 150 employees located in eight offices throughout Texas. For more information, visit www.ksaeng.com. Phoenix, Arizona's METRO light rail will take advantage of the competitive market and gain the early insight of a contractor with a design-build delivery method for its 3.1-mile Central Mesa extension. This decision is a departure from METRO’s typical project delivery approach of design-bid-build, but it works in favor of building a quality product in this economy and in a way that supports the local business community. The Central Mesa project team is now finalizing preliminary engineering. These plans will be delivered to a design-build team for further development in spring 2012. A Request for Qualifications, to initiate the Design-Build procurement, has been issued . Future project milestones remain intact. Utility relocation will begin in spring 2012 with the project to be complete in 2016. The Central Mesa project is a 3.1-mile light rail extension that will travel east from the current end-of-line through downtown Mesa on Main Street to Mesa Drive. The extension will provide East Valley residents with greater connection to the regional transit system and help support the growth of downtown Mesa. For more information, visitwww.metrolightrail.org/centralmesa. METRO develops and operates the region’s high-capacity transit system. The first 20-mile light rail line opened December 2008. METRO serves an average of 40,000 riders each weekday while also planning for six extensions that will create a 57-mile system by 2031. METRO had 1,258,711 total boardings in October, an eight percent increase over October 2010 and the highest in the system’s history. For more information, visit www.metrolightrail.org. Modern technology may owe ecology an apology (a la Alan M. Eddison), but not the engineering firm French & Parrello Associates (FPA). 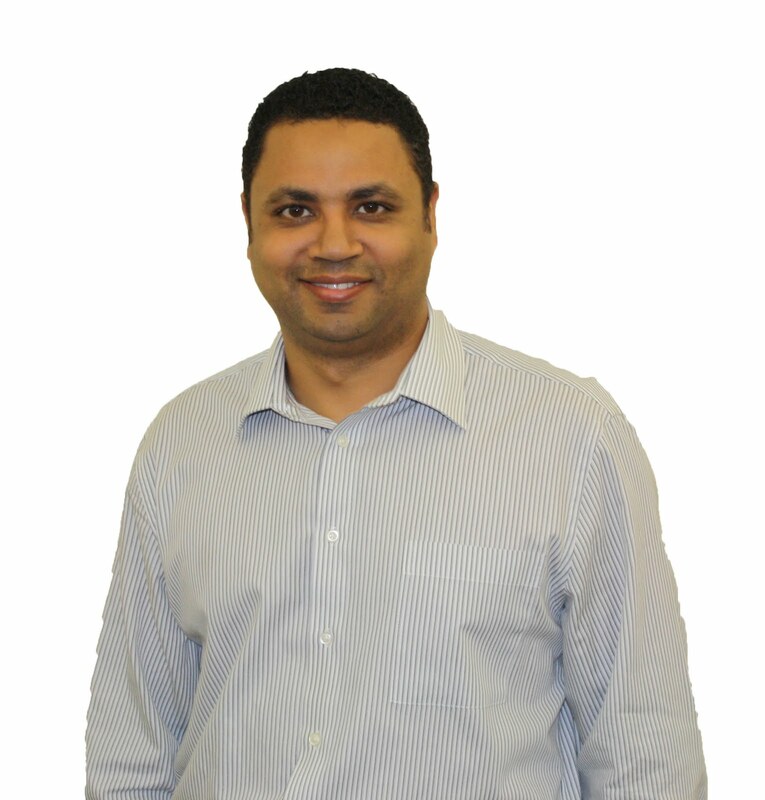 FPA has recently welcomed Amin Gomaa, Freehold, its sixth LEED (Leadership in Energy & Environmental Design) accredited professional. Before joining French & Parrello, Gomaa, an electrical engineer, worked in power distribution design, photovoltaic solar systems design, sustainable design, and project cost estimation, among other areas, in the United States and internationally. Gomaa, who earned an Electrician Diploma from Penn Foster Career School, Pennsylvania, holds a B.S. in Electrical Engineering from Alexandria University, Egypt. FPA, has corporate headquarters in Wall, NJ and branch offices in Hackettstown, NJ; Mullica Hill, NJ; and Bethlehem, PA. The firm offers services in land development, land surveying, landscape architecture, geotechnical engineering, environmental engineering, construction phases, material testing, building design, telecommunications, transportation engineering, traffic engineering, water resources, and renewable energy resources. For further information, visit www.fpaengineers.com.